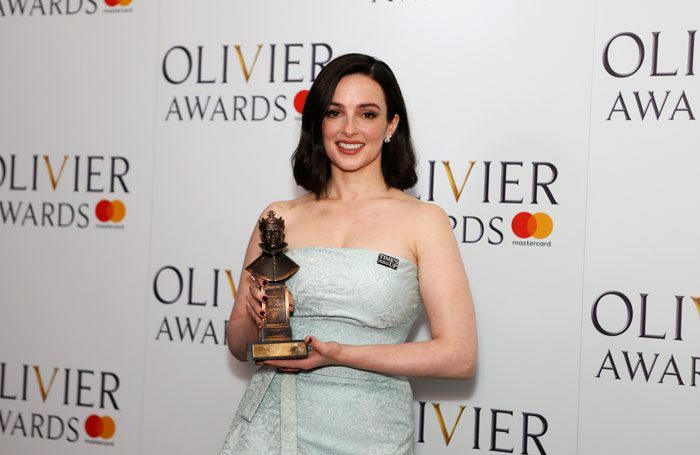 Widespread calls to end sexual harassment in theatre dominated this year’s Olivier Awards, at which many also hailed a new era of gender equality in the industry. Winners used their speeches to demand change around workplace harassment, while actors walked the red carpet alongside activists. The overwhelming majority of attendees wore badges supporting the global Time’s Up movement to end sexual harassment. This year’s awards, held on April 8, were dedicated to Time’s Up, and took place in the wake of the #MeToo movement that was prompted by a string of sexual harassment allegations within entertainment. In an acceptance speech for best supporting actress award for Angels in America that was read out in her absence, Denise Gough said the event came at “an important moment for this industry”, while Marianne Elliott, who directed the best revival-winning production, said the fact that so many people were wearing Time’s Up badges proved that “finally, women are not allowed to be silenced”. “[The industry] has got to take positive action in terms of getting more women into the business, getting more women into the creative teams, into leadership and management,” Elliott said. Other winners who addressed sexual harassment included playwright James Graham, who said the movement must not be regarded as a gimmick but an opportunity to call for “real change”. “We’ve all heard stories and we’ve all heard rumours and it’s time to have a conversation and be open,” he added. Dominic Cooke, who collected the best musical revival award for Follies, said he felt a “sea-change happening across society” that gave the entertainment industry an opportunity to take a stand because of its position in the public eye. “The truth is always progressive, so once the conversation about what has happened comes out, as difficult as it is, then we can start to move forward,” he said. The Society of London Theatre, which hosts the awards, had committed to using the event as a platform to raise awareness and help make the industry a safer place to work. In a speech at the ceremony, SOLT president Kenny Wax said: “No one will be unaware that, over the past 12 months, serious issues have come to the fore in relation to the abuses of power and sexual harassment in the workplace. Many attendees warned that efforts to end harassment and bullying would not be immediate and advocated a sustained commitment from the industry to improve working conditions. The Ferryman producer Sonia Friedman said she hoped influential women in the industry took on the messages of Time’s Up to help younger women be leaders and be “compassionate, kind and strong all at the same time”. Several actresses attended the event with activists as their guests, including winners Laura Donnelly and Sheila Atim, who came with Katie Ghose, chief executive of Women’s Aid, and Marchu Girma, grassroots director for women at Refugee Women. Presenter Ophelia Lovibond attended with Marai Larasi, executive director of black feminist organisation Imkaan and co-chair of the End Violence Against Women Coalition. On stage, Lovibond said that in calling for a new era, the theatre industry “has the power of storytellers in demanding a seismic shift that can engender meaningful change”. 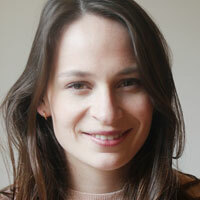 Playwright Jessica Swale attended the awards ceremony as a representative for Time’s Up.